Looking to have a great time in Stirling? The Stirling GhostWalk makes for a unique centrepiece to any day's (or nights') entertainment especially with the huge variety of pubs, restaurants, cafes, live music venues and the other historical attractions and places of interest Stirling has to offer - all within walking distance of the GhostWalks' start and end points, in the Old Town. Here we feature a number of suggestions for local places to try a beverage or eat heartily... leaving plenty of time to meet your guide - The Hangman - at the gates of The Old Town Jail / SYHA Hostel. Should you have questions about other entertainments, amenities, transport or...whatever crosses your mind, please don't hesitate to contact the Happy Hangman at happy_hangman@btinternet.com . We're always glad to be of assistance. 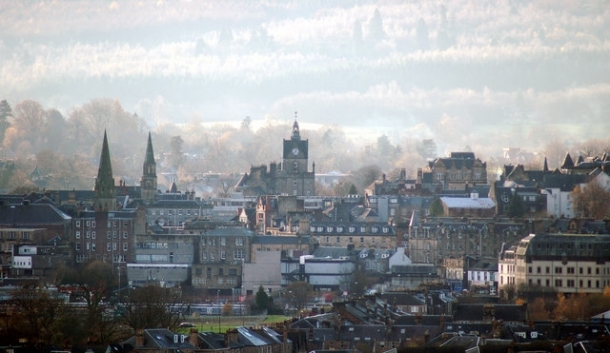 Find out more about the myths and legends of Stirling in our 'Tales From the Stirling GhostWalk' section http://www.stirlingghostwalk.com/tales-from-the-stirling-ghostwalk , the (allegedly) haunted houses of the Old Town in 'Haunted Places' http://www.stirlingghostwalk.com/locations-of-the-stirling-ghostwalk , and the curious histories behind them in 'Fact & Fiction' http://www.stirlingghostwalk.com/apparitions-ghosts-and-spooks-of-the-stirling-ghostwalk .